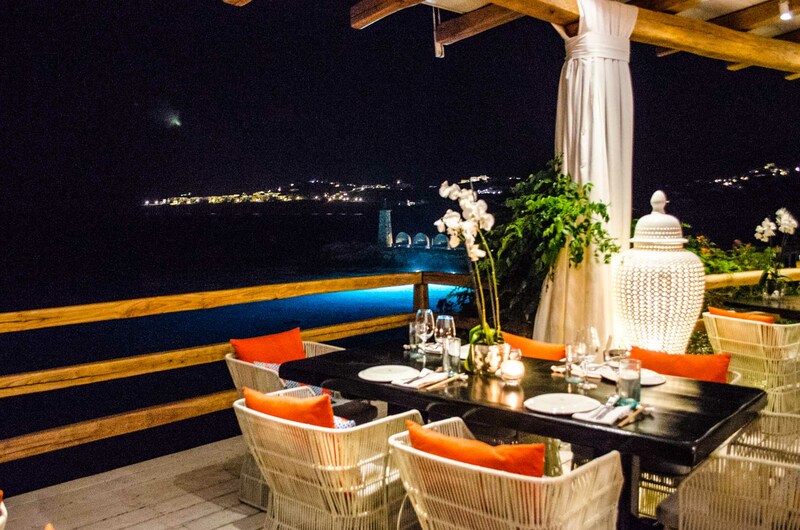 Heading to Mykonos this summer and wish to indulge in restaurant experiences not soon forgotten? We’ve curated a list of 5 seafood dishes to try on Mykonos this summer. 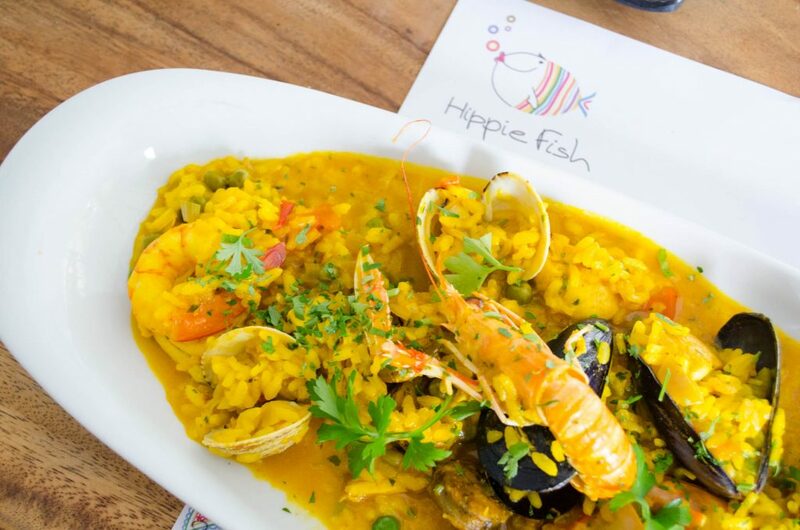 Those looking to enjoy a delicious meal with wonderful sea views, in a friendly environment, will love Hippie Fish Beach Restaurant & Bar located at the Ai Yanni Beach. The restaurant serves a variety of fresh seafood, sushi and meat dishes. If you want to feast on a wonderfully comforting, flavorsome and colorful dish make sure to try their Aegean Paella prepared with seafood, chicken, and a local Mykonian sausage. At Nice n Easy you will enjoy the view of Mykonos’s most iconic landmarks — the Windmills and Little Venice. This all day restaurant serves organic, locally grown food, a heaven for those who appreciate a healthy eating lifestyle. 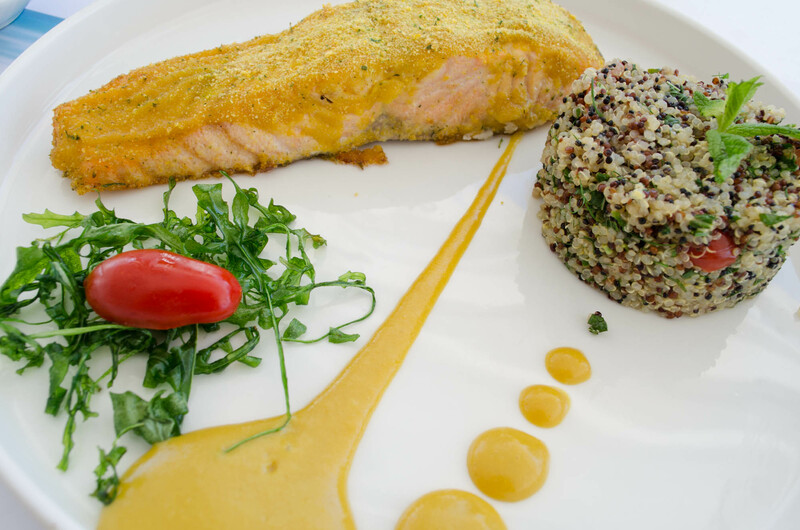 One of the top dishes in the house is the fresh baked salmon with citrus herb crust, served with quinoa tabouleh with linseed. Everything on the menu looks fantastic. 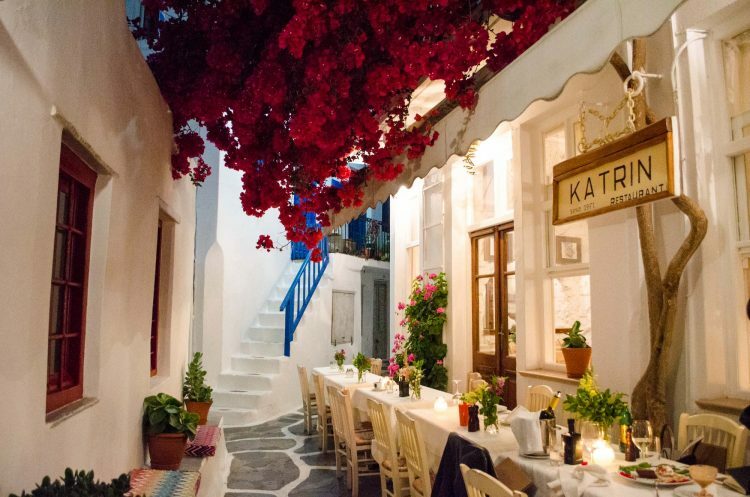 Since it opened in 1971, La Maison de Katrin has become a favorite upscale restaurant serving Greek and French cuisine on Mykonos. The restaurant offers a wide variety of traditional Greek dishes as well as the all-time classic moussaka. Of course, the food doesn’t stop here and for those who are craving something refreshing, ask for the mussels on a half-shell topped with an extremely delicious tomato-basil sauce. Funky Kitchen is known for its creative Mediterranean fusion dishes. Behind the cuisine is talented chef Pavlos Grivas. 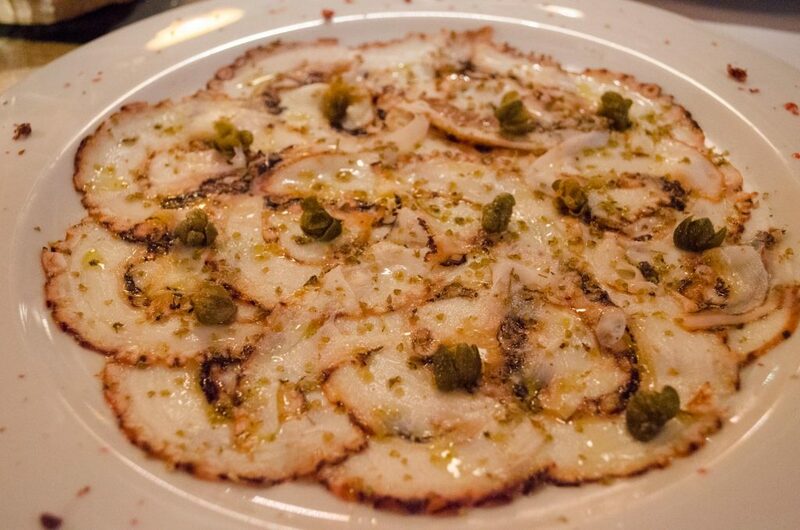 Start your meal with their refreshing octopus carpaccio flavored with fried Syros capers, oregano, olive oil and pink peppercorns. You will not be able to put your fork down! Looking for a fun spot to enjoy a memorable dinner? Buddha Bar Beach at Santa Marina, A Luxury Collection Resort is a must! Sit back and relax listening to the sounds of the waves gently washing over the shore, feel your mood rise to the rhythm of the tracks played by famous DJs, sipping on sensational cocktails created by the established Buddha Bar mixologist, Matthias Giroud. Every item on the menu is not only visually inspiring but exquisite. 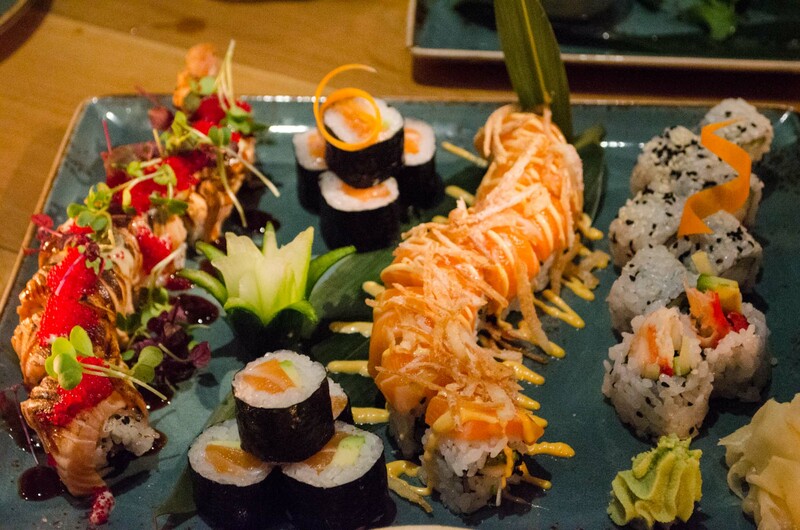 If you love sushi, make sure to go for the sushi experience and try the unique varieties featured on the menu. 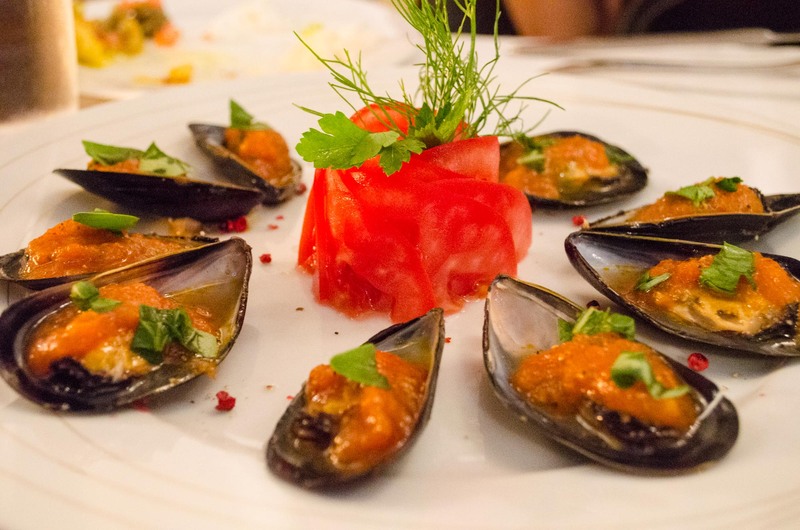 Here are our recommendations for the 5 seafood dishes to try on Mykonos this summer. Have we missed anything? Do you have any restaurants on Mykonos that you like? Let us know by commenting below.